Crystal Pepsi, a popular drink from the 1990s. 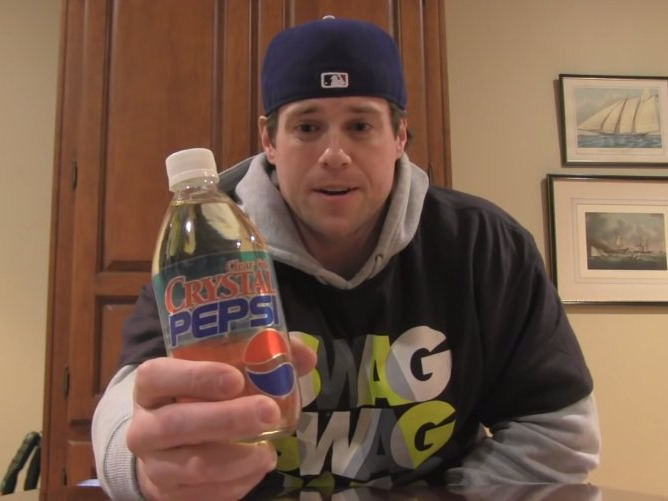 The clear-coloured beverage, which tasted like regular Pepsi, debuted in 1992 in a couple of test markets in the US and rolled out nationwide a year later. The drink is now making a comeback now thanks to an online campaign begging for its return. “We’ve always had a special place in our heart for Crystal Pepsi, and there has been a huge groundswell of support to bring it back,” said Stacy Taffet, senior marketing director for Pepsi. The drink will be avail ble for $1.79 per bottle at major retailers in the US starting August 8 and in Canada starting July 11. Soon after Crystal Pepsi launched in the 90s, Coca-Cola came out with its own clear cola, called Tab Clear. The drinks were touted as healthier for their clear colour, Bustle reports. Here’s the TV ad announced the rollout of Crystal Pepsi in 1993.